Booksy is an appointment scheduling software designed for salons and service-based businesses in the beauty and health industry. It enables business owners to manage client bookings online, send their customers emails and text messages, launch marketing programs, and accept mobile payments. There were only a few Booksy up-to-date user reviews, but the ones we found were generally positive. We also shared its available pricing options..
Want to know the top appointment scheduling software for small business? Read our Booksy alternatives guide. One user who gave Booksy a positive review on Capterra said that the software prevents him from missing his appointments. He added that it keeps his customers up-to-date with his schedule and provides him with information on any changes that clients will make to their online bookings. One user who left a review of Booksy on Capterra said that the software is still not widely known by the public. She added that it should increase its advertising efforts to promote the tool, so that business owners and interested users can benefit from the expanded market reach. Booksy has two pricing options, one that is at $29.99 per month, and another that is at $119.99 per month. The more expensive plan is available for unlimited staff members at no additional cost. Does Booksy offer a free trial for interested business owners? Yes. 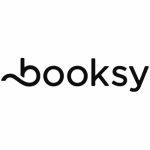 Interested business owners can sign up for Booksy’s 14-day free trial. Will Booksy’s booking calendar work on a business owner’s website or Facebook page? Yes. Business owners can download Booksy’s booking widget to allow client bookings directly from their website or Facebook page. Are business owners required to confirm client bookings made through Booksy? No. Booksy will automatically confirm and manage all client bookings. However, business owners can opt to manually confirm appointment requests by changing the Booking Settings in their Booksy account. This video provides a quick overview on what Booksy can do to help businesses manage their client bookings and schedules online. 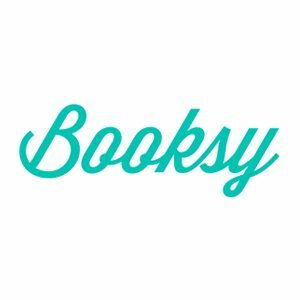 Not sure if Booksy is the right fit for you? Read our reviews of all top appointment scheduling providers or check out one of these three Booksy competitors.